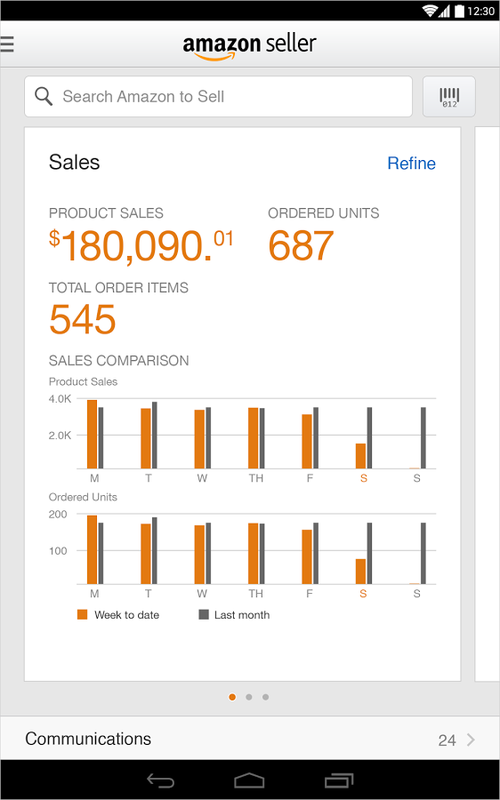 Use the Amazon Seller app for Android to help grow and manage your selling business on Amazon. 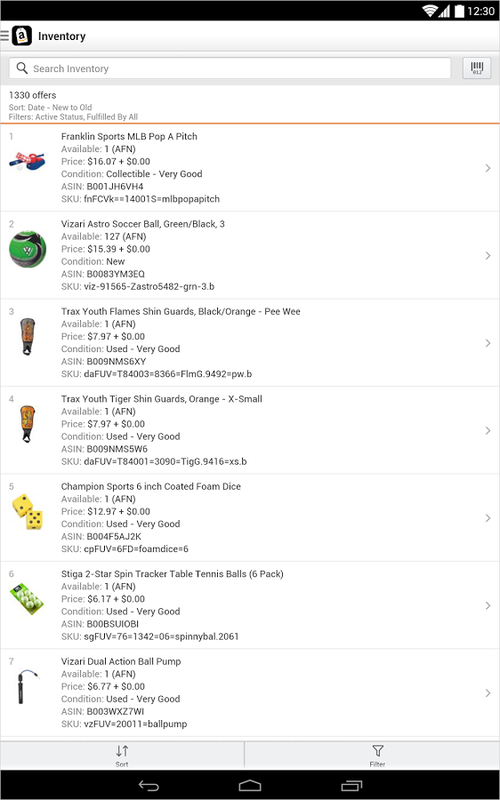 The app’s mobile features make it easier than ever for you to quickly identify new selling opportunities on Amazon.com, list your items for sale, and respond to customer questions. Search, sort and filter your inventory items. Update prices and quantities on the go. 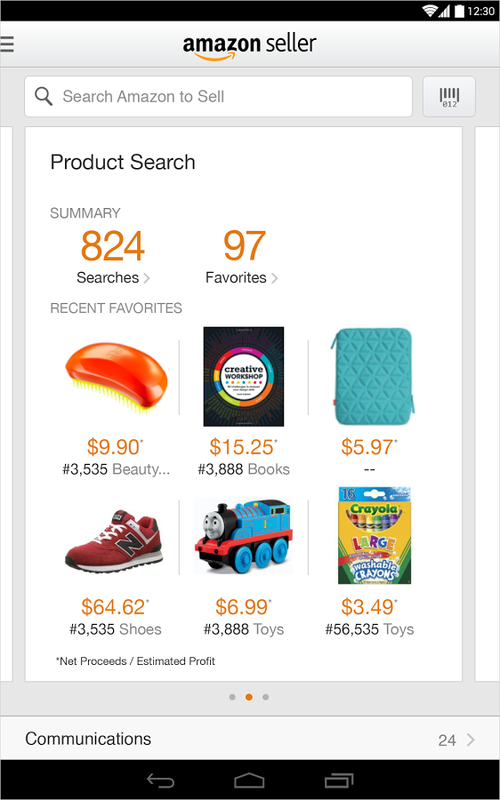 Check current prices, sales rank, and customer reviews of items on Amazon by using text search or scanning barcodes. Add product cost information to see the estimated profitability of your items after primary Selling on Amazon and Fulfillment by Amazon (FBA) fees. Create listings on Amazon.com quickly and easily. Provide great customer service by responding to customer questions quickly with the app. All activity is routed through Amazon’s servers.